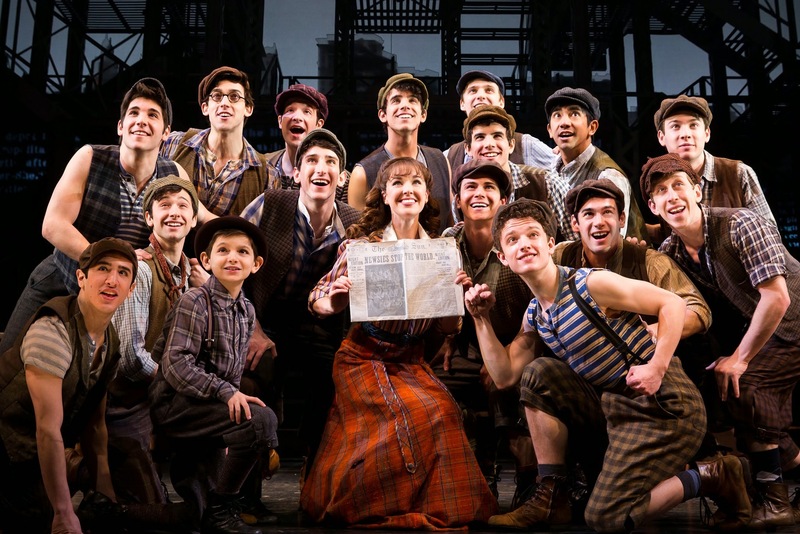 Disney’s Broadway hit musical “Newsies” brought down the house their first night in Atlanta. Guests young and old were in the audience, excited to see their favorite characters and/or reminisce on the movie from over 20 years ago. Even before entering the theatre, patrons gathered outside taking pictures, discussing their favorite scenes, and being typical fansies (obsessed fans of Newsies). 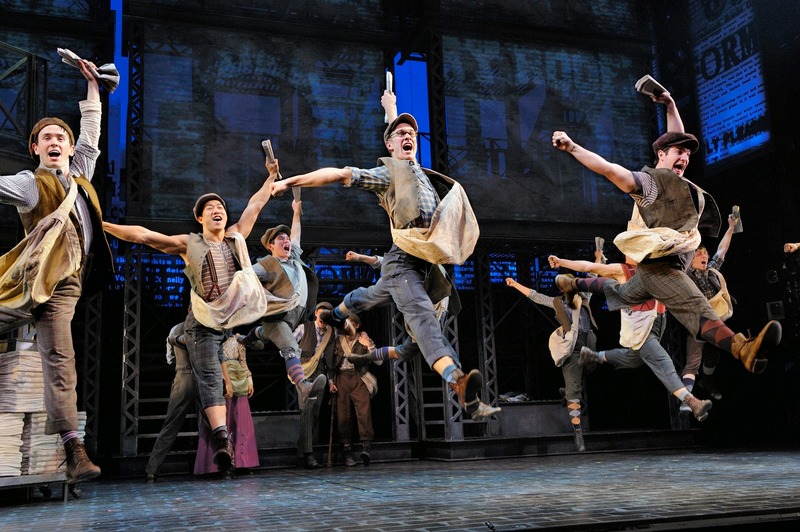 The musical is based on the 1992 film Newsies, which was inspired by the real-life Newsboys strike of 1899 in New York City. The story begins with a large group of “Newsies” (young kids that distribute newspapers) led by Jack Kelly (Dan DeLuca). They have big dreams of making headlines one day, in the very newspaper that they sell. But their daily routine gets shaken up when newspaper owner Joseph Pulitzer (Steve Blanchard) raises the cost by 10 cents. This causes Jack to convince his band of newsies and others all over New York, to band together in solidarity and strike. During all of this, Jack meets a young lady named Katherine (Stephanie Styles) who comes from a very different background but he refuses to admit he likes her. The Newsies themselves were incredible. The singing and dancing were impressive and was complimented nicely by the sometimes subtle yet straightforward comedy. Seeing such a performance by young kids was quite the sight. A few of the more notable newsies were Crutchie (Zachary Sayle), Davey (Jacob Kemp), Les (Anthony Rosenthal), Romeo (Nico DeJesus), and Morris & Oscar Delancey (Michael Ryan & Jon Hacker). This musical could’ve been a comedy, as the kids were hilarious and even the adult cast had some comical commentary. Both scenes at Jacobi’s Deli were pretty funny, Medda’s (Angela Grovey) scene at her theater in ACT I was a crowd favorite, Jack & Katherine had a nice number in the Rooftop scene in ACT II, and all the scenes that featured the Newsies as a group were amazing. This is a musical that will appeal to both young and old audiences. We highly suggest you see Disney’s Newsies while they’re in town. Their last day in Atlanta is January 25. Previous Previous post: Atlanta Wine Party!